Buying tires at Allen's Automotive Center in Memphis is a lot like buying shoes, except that Memphis vehicles don't have changeable apparel and don't need a closet full of tires to match. Vehicles spend a lot of time on their tires—all the time, in fact—so they need tires that can stand up to the job. Tires are work shoes: they have to deal with a lot of crazy Tennessee road conditions, all while carrying the weight of a vehicle and its passengers. Bad tires, like cheap shoes, can also be a safety concern for Memphis drivers. Tires need good traction, and they need to be strong enough to handle the loads they carry. Vehicles that carry heavy loads or tow trailers around Tennessee need tires with a high load rating, in the same way that you are better off on a rough Tennessee mountain trail with sturdy hiking boots rather than flip-flops. Tire chain stores in Memphis often carry tires with their own brand name. These are private label tires. They are less expensive than Tier 1 tires but are still a quality product. In fact, many private label tires sold in the Memphis area are manufactured by the same companies that make Tier 1 tires. Don't hesitate to ask your Allen's Automotive Center tire professional who makes their private brand. 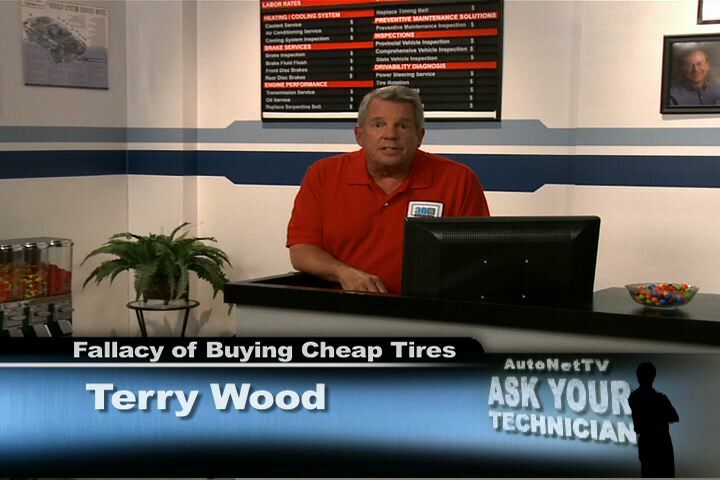 The cheapest tires on the Tennessee tire market are Tier 3 tires. Most of these tires are imported from Asia or South America, and they just don't have the same standard of engineering behind them that the higher-priced tires have. When it comes to Tier 3 tires, you get what you pay for. At Allen's Automotive Center, we sometimes express tire quality in terms of the warranty. In other words, we call a tire a “40,000 mile/65,000 km tire,” or a "60,000 mile/100,000 km tire." This refers to the number of miles/kilometers a tire will be under warranty. Tires with a higher mileage warranty are made with higher quality rubber compounds and have more tread. As you might expect, they also cost more than tires with low mileage warranties. That said, if you're driving on Tier 3 tires, it's a good idea to budget and plan to buy higher-quality tires the next go-around. Two sets of cheap tires may wear out in the same time as one set of quality tires, but the quality tires actually cost less than two sets of cheap tires. That's the great fallacy of cheap tires. In the long run, they actually cost more than good tires and come with significantly reduced performance and durability to boot. Not exactly the best value for Memphis area drivers.